Modern history of Hawaii excerpt. 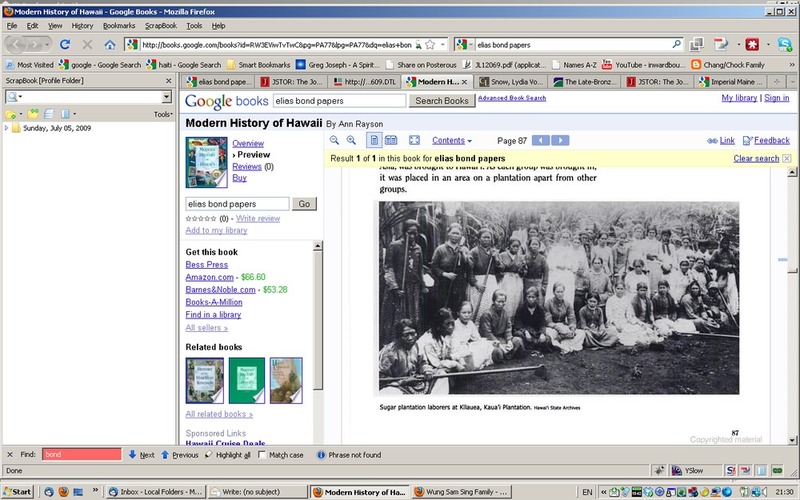 Google books has on record, “Modern History of Hawaii”, by Ann Rayson. It has an interesting review of the chinese, etc coming to Hawaii starting in 1852 Page 85. They were contracted for 5 years. Elias Bond and his mission… When did Bond arrive in Hawaii?